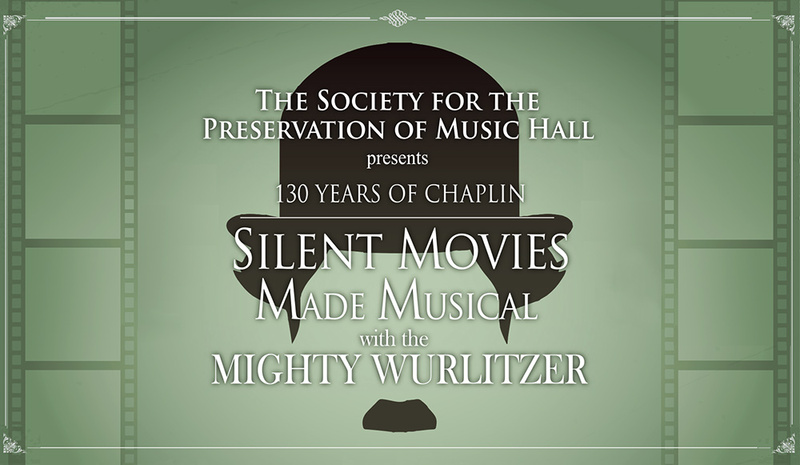 On Thursday, May 9, SPMH presents ''130 Years of Chaplin: Silent Movies Made Musical with the Mighty Wurlitzer,'' at 10:30AM and 7:00PM in Music Hall's Ballroom. The concert presents a Chaplin double feature: The Kid and Behind the Screen. Master Theatre Organist Clark Wilson ''scores'' the films at the keyboard of the Mighty Wurlitzer organ. Tickets for this silent film concert are on sale now - and they go fast. Both films feature actor/filmmaker Charlie Chaplin, who was born in London in April 1889. Chaplin not only starred in both films, but also wrote and directed them. Biographers have described him as a perfectionist, as he also often edited and composed the music for his films. The Kid was Chaplin's first full-length film as a director and the comedy/drama was a huge success. It is also considered one of the greatest films of the silent era. Chaplin made a number of films using a movie studio as a backdrop. The last one to feature that type of set was Behind the Screen. Clark Wilson has been described as the ''Master of silent film and showman of the first order.'' He not only keeps a busy concert schedule but also specializes in scoring films. As one of the finest in the art of silent picture scoring, Clark lectures on the Theatre Organ accompaniment for the Indiana University organ department. In addition, he teaches applied theatre organ lessons, silent film scoring and the history of the American Theatre organ. As if that wasn't enough to keep him busy, Wilson has his own pipe organ business. He's the only person who has received both the Technician of the Year and the Organist of the Year awards from the American Theatre Organ Society.